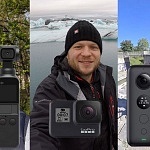 Which Action Camera Gimbals to look at? As you might have noticed while reading my blog, I’m a big fan of gimbals. A smooth video is not only more pleasant for the viewer, it gives the video a professional touch. Additionally it replaces several other gear, like stabilizer, dolly, jib,… So if I could only choose one accessory/mount for my action camera, it would be a gimbal! I want to give an overview of some models which fought my attention. I’ll update my blog when I test one of these devices. I prefer wearable/mountable gimbals as you can attach it to any GoPro mount such as suction cup mount, chesty or clamp. Of course you can also use it handheld, when combining it with a selfie stick. So I think this is the most versatile type of gimbal with one downside. Due to the form factor they often have smaller batteries than their handheld counterparts. RiderM features a 1/4″ thread at the bottom of the gimbal. It doesn’t feature a GoPro mount itself, you need a 1/4″ thread to GoPro adapter, or you can use standard photo gear to mount it. So you can either mount it or attach it to a selfie stick to use it handheld. There are 3 operation modes: Locking mode which keeps the camera at the same position; Pan-Follow mode, where the camera follows pan movements of the gimbal & Pan-Tilt-Follow mode where the camera also follows up / downward movement of the gimbal. On the head there’s a port to connect the gimbal with the camera. I’m not sure if there is a USB-C cable available, with Hero4 it was possible to power the camera and to grab the A/V video signal which is transmitted to the 3,5mm jack at the bottom. 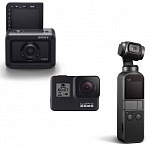 RiderM features wireless remote, you can either get a remote control or connect the gimbal with your smartphone to remote control the gimbal’s head. Zhiyun Rider2 is discontinued but still available for a lower price. The Z1-Rider 2 consists of two wire connected parts: The gimbal and a grip which holds the batteries. 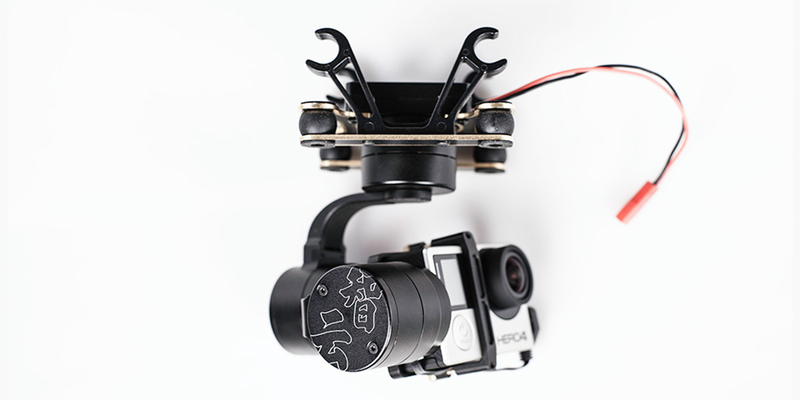 The bottom of the gimbal offers a GoPro mount and a 1/4″ thread to mount. You can also use a handlebar mount on the battery grip and attach the gimbal to get a handheld device.The gimbal calibrates seconds after turning it on automatically. The grip holds 2 18350 Li-Po batteries for about 4 hours working time. You can connect the camera with the gimbal and use the gimbal`s strong batteries to power the camera. The battery grip also includes 3 buttons to remote control your camera, so no additional accessories are required. The FeiYu WG features a GoPro mount adapter, so you can attach it on any GoPro mount with three-prongs. Additionally there are two 1/4″ threads to mount it on any photo gear. So if you want to use it handheld, no problem: just attach a selfie stick via 1/4″ screw or GoPro mount. 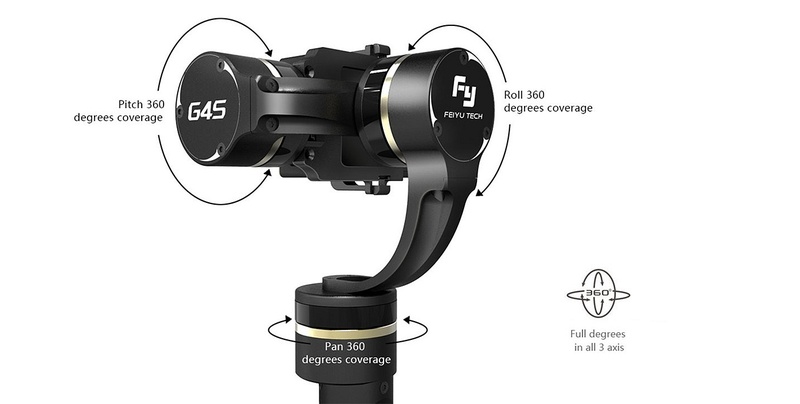 You don’t have to care how you mount the gimbal (upside down, vertical or forward) as the FeiYu WG will automatically detect its position and will adjust the configuration. I couldn’t find any information on battery – I’ll check and update this blog. Additionally you can hook up the FeiYu remote control (optional) and pan/tilt/roll your camera. Recently Feiyu adapted their product line and now offers a wireless remote (which replaces the wired version above). There is the handheld transmitter, and a receiver is placed on the port. The wireless version works with all versions of the FeiYu WG. As mentioned above, the FeiYu is available in 4 versions: 3-axis, 2-axis or 1-axis and a 3-axis version for GoPro Hero 4 session (WGS). If you want to save some money the 2-axis gimbal might be your choice (for wg motorsports) where a 3rd axis is not really needed. The gimbal seems to be very compact and light (350g, 0.77lbs) and it is waterproof, so lots of possibilities for mounting! Slick will feature a GoPro mount on the bottom. Slick features 2 operation modes: The first is “Fix Mode”, this will allow you to set up and fix the yaw axis that will stay in the same direction as when you turn the device on. In other words, the yaw will be on “lock”. The other is “Follow Mode”, the yaw arm is following the movement of the head, for example when you look left or right, the GoPro will follow you. A 2 hour runtime is stated, the battery is removable. GoPro Session will work with a special case from Slick. It is available for pre-order now, shipping was shifted back to March 2017. 299 USD is the planned retail price, currently available for 229 USD on their website. I ordered one, stay tuned for the review! Sybrillo features motion control and motion time-lapse. With motion control you can predefine the heads movement, in time-lapse mode also for longer durations. You have to find your mark, frame your subject and create the sequence. Then determine the program length, angle, and camera-rotation range, and hit the Action button. There will also be a VR-mode control, where Sybrillo follows the movement of your smartphone, best used in a VR headset. Sybrillo seems to be compatible with all GoPro cameras, but I haven’t found a statement so far. Sybrillo launched a Kickstarter campaign which already ended. Shipment is expected in April 2017. You can find more infos and videos on their Website, where you can order for 299 USD. 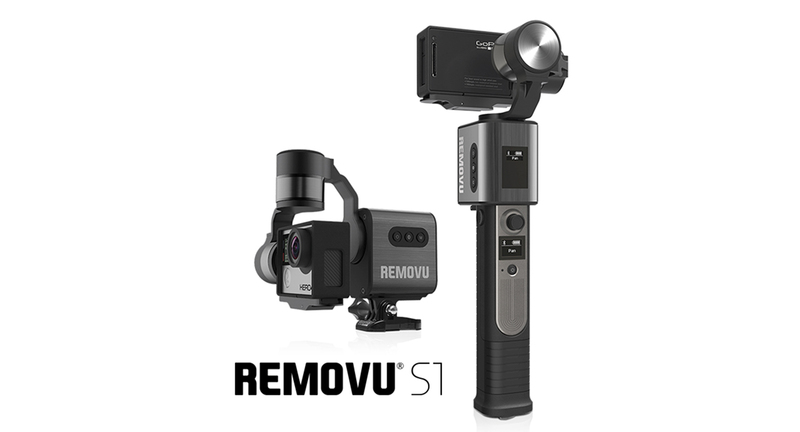 Removu S1 is both, wearable and handheld gimbal. You can either use the head mounted with a GoPro mount, or you can attach it to the grip which also holds a joystick and a small display with battery info. 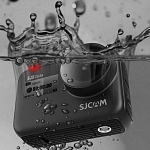 Removu S1 is rainproof. If detached the grip operates as wireless remote (Bluetooth). With the joystick you can adjust the angle and you can select the different operating modes. with GoPro Hero3, 4, 5 and GoPro Hero Session. It is available for pre-order and will be shipped end of 2016. You can pre-order on their website for 379 USD. Yi handheld gimbal is equipped with a 1/4″ thread at the bottom to attach to YI monopod, to use it handheld. Of course you can mount it with this standard screw to any photo gear and mount. 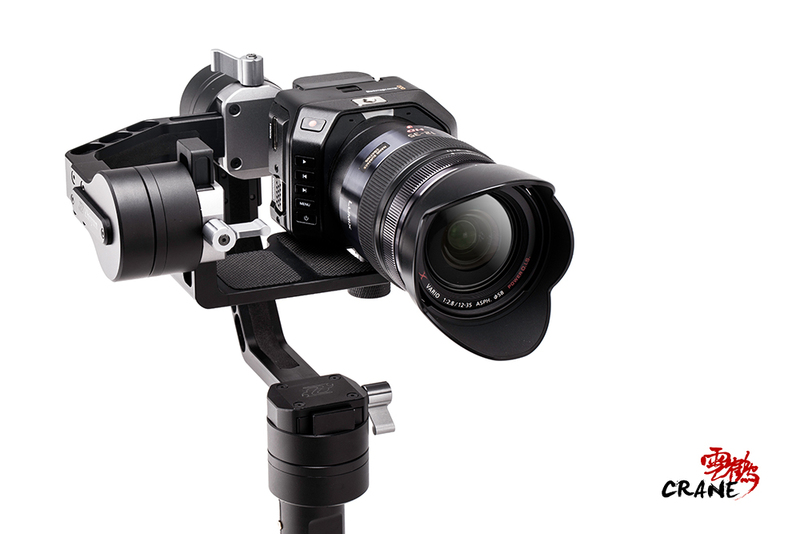 YI Handheld Gimbal can rotate: Panning: +/- 160°; Tilt: +/- 160°; Roll: +/- 42° and holds 2 900mAh batteries. There is no remote control for the gimbal’s head. YI handheld gimbal is compatible with YI Action Camera & YI 4K Action Camera. As mentioned before the handheld gimbals offer a longer working time as the grip can hold larger batteries. They are a great tool to get smooth shot when following the action as you can control them easily. e.g. when following another skier or riding a bike next to someone. They are also great for traveling and walking around. Lanparte LA3D-S2 is a very versatile gimbal. 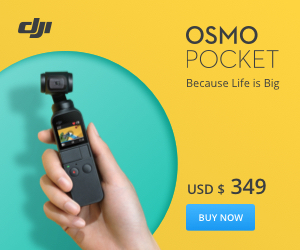 Not only you can use it with smartphone or GoPro, but also with handheld grip or wire connected. A wireless kit is also available. On top of the head, there is a GoPro mount, on the bottom oh the grip, there is a standard 1/4″ tripod thread. Advantage of the -S2 is, that you can use it for GoPro & Smartphone, but you don’t fully see the screen of GoPro. That works better with the LA3D-2 model for Action Cameras, which can’t carry a Smartphone. Lanparte LA3D-S2 also features 4 operation modes: Follow / Semi-follow / Fully Locked & Low-angle inverted shooting mode. LA3D-S2 uses 2 LIPO 18350 batteries for about 2 hrs of operation. At first I thought the Z1-Rider 2 is going to be my favorite and most used gimbal, but I changed my mind a bit. The Z1-Evolution is a great tool and easy to use. You can use it handheld or mount it with the 1/4″ thread at the bottom of the grip. The batteries are really powerful and last very long, even when powering the camera with them – a cable is included. Besides an on/off button you’ll find a 4-way joystick to control the camera. There is also a special 3,5mm headphone jack which adapts to plug in an analog monitor. The grip holds 2 18650 Li-Po batteries for up to 12h of working time. On the bottom you can find a 1/4″ thread to attach the Z1 Evolution on any photo gear. In contrast to the Z1-Evolution the later introduced FeiYu G4S features 360° endless rotation on all 3 axis. Also the camera mount system was adapted to attach the camera faster and easier. There is also a mini USB plug on the side which fits the GoPro to use the power from powerful batteries stored in the gimbal’s grip. On the grip you’ll also find a 4-way joystick to control the camera, additionally you can mount the wireless system (shown with the WG above) to control the gimbal wirelessly. There is a 1/4″ thread on the bottom of the grip to mount the G4S. The length of the handheld grip can be extended by available rods specially designed for this model. 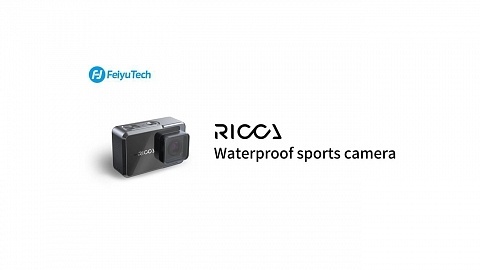 The FeiYu G4S only works with GoPro (Hero 3 & 4) cameras due to the USB plug for charging. 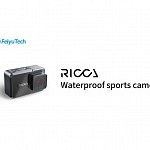 If you want to mount other cameras there is the FeiYu G4 QD which mounts a huge variety of action cameras including Xiaomi Yi, SJCAM, Git2 and Firefly 6S; but I’m not sure if this version also features the 360° coverage on every axis. 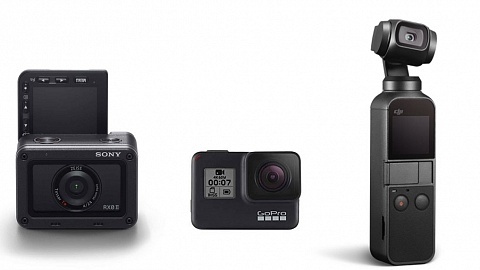 There is also a special version for the Sony Sport Camera 4K FDR-X1000. Feiyu and Zhiyun also offer a Smartphone version of their gimbals I mentioned above. The Lanparte HHG-01 serves both GoPro and Smartphone users. There is a GoPro adapter which is used instead of the smartphone to fit the action camera. So if you are switching gear, this one might be the right one for you. 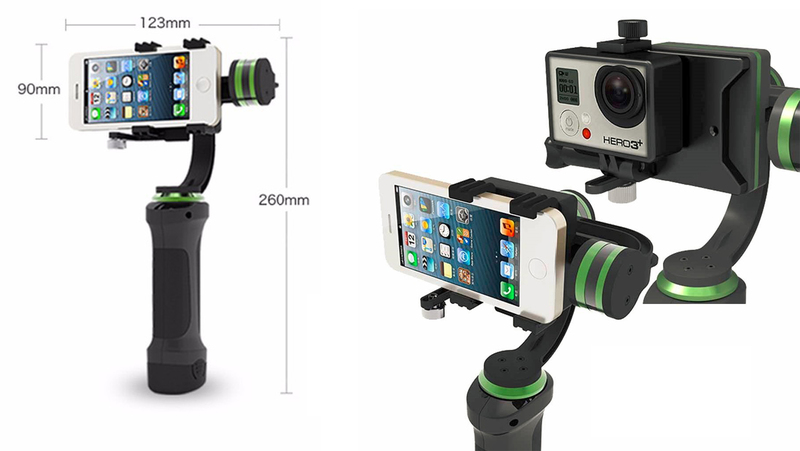 The Lanparte HHG-01 works with Smartphones up to 5″ and the Adapter serves GoPro Hero 4 and Hero 3 cameras. careful, the GoPro Adapter might be optional! If you are using cameras larger than a GoPro, e.g. the Black Magic Micro Cinema Camera or Z1 camera, the Crane is an option. It can also be used with mirrorless cameras like the Sony Alpha 6300 series or a7. You can use it handheld or mount it with the 1/4″ thread at the bottom of the grip. The batteries are really powerful and last very long. In contrast to the Evolution, Crane features 360° endless rotation on all axes. Besides an on/off button you’ll find a joystick to control the camera. The grip holds either 18650 or 26650 Li-Po batteries for up to 12h of working time. Crane can be remote controlled via app or remote control. Crane holds cameras from 350g to 1200g. A mount for longer lens support is included. Typical cameras for Crane are Black Magic Micro Cinema Camera (BMMCC), Sony alpha series, Canon M series, Nikon J series or Panaonic’s LUMIX series. You can find a detailed Zhiyun Crane Overview on my blog. 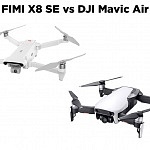 These products are designed of quadcopter and drone use. Usually they need external power and usually feature anti vibration rubber bolts. FeiYu also offers an aerial product for drone and quadcopter mount: the MiNi 3D. There is no need to setup or adjust the gimbal as the gimbal will level automatically. Three modes are offered: Heading Follow Mode, Heading And Pitch Follow Mode and Heading Lock Mode. They can be switch via the RC receiver where the cam can also be adjusted. There is also a 2-axis version available. 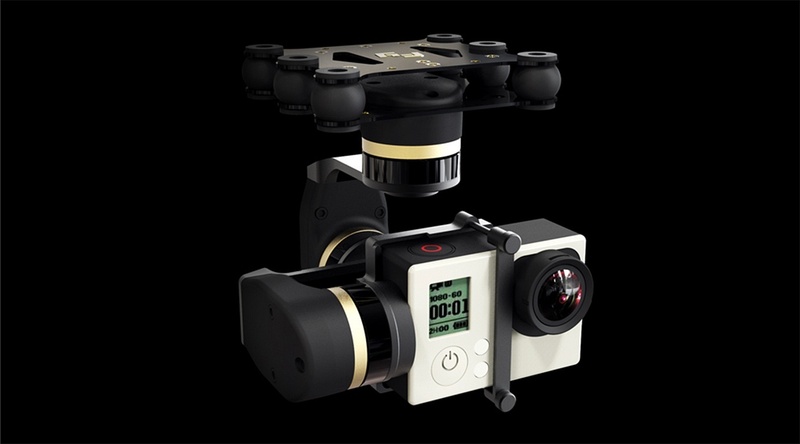 The FeiYu G4S only works with GoPro (Hero 3 & 4) cameras. According to their website the Tiny2 is compatible with GoPro, SJcam and Xiaomi Yi. Same as the FeiYu MiNi the three axes are separately controllable and you can switch between Pan Following, Locking or FPV mode. 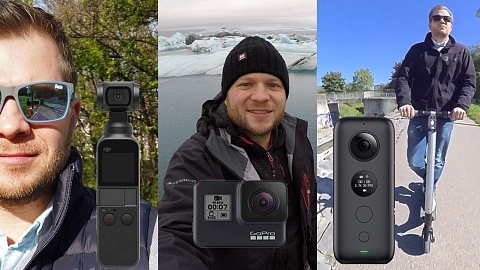 The FeiYu G4S only works with GoPro (Hero 3 & 4) cameras, Xiaomi Yi, Git2, Firefly 6s, Eken H9 and SJCAM (series 4000 & 5000).